Millennials are famous for trying to preserve every moment by taking photos and videos on their phones and instantly sharing them with their friends. The art of the selfie is in fact the mastery of ensuring that even the photographer can be preserved in these memories, so that no one is missing from this digital moment. Soon after TomorrowWorld ended, fans of the festival flooded Facebook forums with photos and memories. One fan, Daniel Velez, wanted to take that to the next level by preserving these memories in a more physical way. With everything going digital, it’s hard to imagine anyone wanting to take the time to meticulously preserve these memories for dozens of strangers, yet that is exactly what Daniel did. Daniel came up with the concept to create a TomorrowWorld Yearbook, which would comprise of a collective of photos from across the Mysteryland fandom. 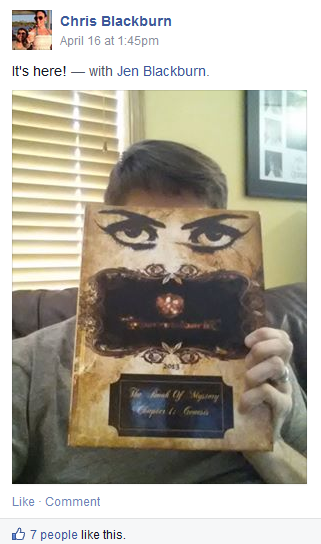 Daniel was active in the TomorrowWorld USA Facebook forum, and from there he created his own TomorrowWorld Yearbook forum and asked people who were interested in a Yearbook to join his group and share their photos. Daniel also created a website where people could submit photos for the Yearbook and they would be posted online to the site as a collage as well. 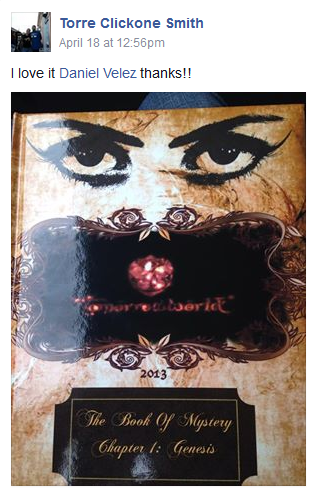 Today there are 478 members of the TomorrowWorld Yearbook Facebook page and he has shipped over 50 books! Sensible Reason: Tell us about the Tomorrowworld Yearbook. What is it exactly? Daniel Velez: The TomorrowWorld Yearbook is hardcover book that has been designed and has all of the images in it submitted to by the Community that backs it. It is 100% not for profit and is done purely to remember the great dreams we had. SR: How did you get the idea for a year book? Daniel: The Idea sprang one day from a collective album me and my friends had made for our TomorrowWorld experience and as I sat there looking through it all, I wondered how I could make these memories more real, not just a Facebook album. I pitched the Idea to my friends and they liked it, but then I thought, ‘Why just our pictures? There has to be plenty of people out there that have some great pictures.’ And that’s what I set out to do: collect as many pictures as I could to preserve the memories as a chapter in our lives together as a family. SR: What was it about TomorrowWorld that made you want to preserve the memories in this way? Daniel: I wanted these memories to be held in my hand like pictures but so often pictures get lost– especially with my track record. A book is a little harder to lose– we have a backup of it in case anyone ever loses theirs and we can always reorder a new book. It’s almost like a library. SR: Can you talk about the online community around the festival? Is there something about it that makes it unique and allows for the success of a project like this? Daniel: The community is that of the same feel you get from TomorrowWorld itself: everyone wants to help and they all have your back. It is a great community and even though it was a hard project (as I had never tried this before) it is the Community that inspired me to do it this year and hopefully continue to do it. SR: What was your favorite aspect of TomorrowWorld? 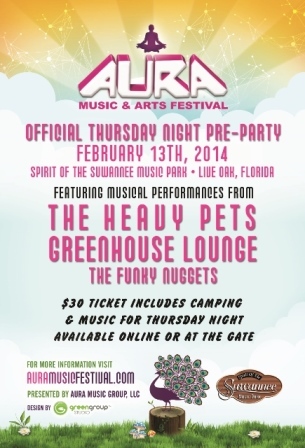 What did you love most about the festival? Why? Daniel: I like that its more adult-oriented; its almost like going to Disney World without having to act your age. You pull out your ID once and bam! No more! You live there for 3 days and know the people around you. You can’t complain about it. Period. I have been to a few other [festivals and shows] but TomorrowWorld is something I hope to never stop going to as it is by far my favorite and it’s the community behind it. Even the artists seem to have a connection that’s strong with this festival in particular. Daniel Velez is a US Army Veteran as of January 2014, and according to him, “I served 9 years of my life for which I am proud of.” Daniel currently lives in Memphis TN will be attending the University of Memphis in the fall. Daniel plans on continuing the Yearbook idea for TomorrowWorld’s sophomore year. Daniel’s work is a testament to the love and dedication TomorrowWorld fans have to this festival. Daniel received no personal compensation for the books; he only charged fans what the book actually cost him to make. Thanks to the internet and our plugged-in Millennial culture, Daniel was able to crowdsource these photos and memories from dozens of other fans of TW. Because of fans like Daniel, this electronic music festival lives on well after the four days of the festival. 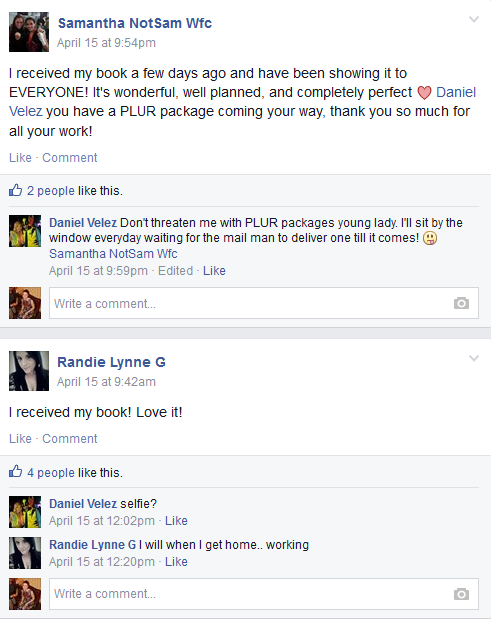 The community surrounding the event literally knows no bounds: it is without time or space, thanks to Facebook forums and events, but also creates real connections as people organize to meet at shows and trade kandi and, in Daniel’s case, create physical books that can be held in the owner’s hands for all time. With approximately four months remaining until the festival in September, fans are already gearing up for Round Two! If you went to the first TomorrowWorld, there is still time to get your yearbook. Check out the TomorrowWorld Yearbook Facebook forum here! Follow Kristen on Twitter @KristenGrennan Kristen Grennan joined Sensible Reason in the fall of 2010 while living abroad in France. She helped co-manage Binghamtronica Presented by Oxfam and HeadCount in March of 2011 and graduated from Binghamton University in May of 2012. Besides writing for Sensible Reason, Kristen taught English in Le Havre, France and is a backpacking hooper and hippie. Kristen is currently enrolled at Columbia University and is seeking a Masters in Public Administration with a specialization in International Media, Advocacy, & Communications.